Home › temperature monitoring › Refrigerator temperature monitoring › Why & How to record door opening and closing of refrigerators & freezers? For many critical refrigerators and freezers such as for medical applications, the door opening need to be monitored continuously. The door should be opened for only short intervals and there should be sufficient duration between door openings. 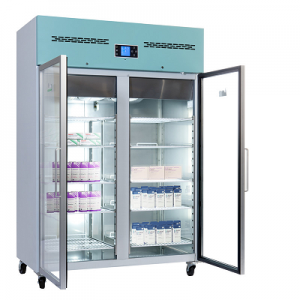 Medical Refrigerators and freezers used for storage of medicine, vaccine, plasma, blood samples etc. will have such restrictions since increase in temperature will affect the stored items. Why the door opening of a refrigerator has to be monitored? As soon as we open the refrigerator door, the ambient air enters the chamber. This causes the inside air to heat up. 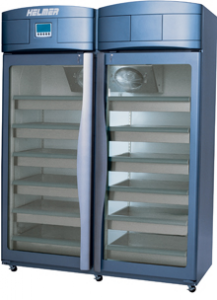 As the interior of a refrigerator is very small, the temperature rises very quickly. In order to limit damage to the stored goods, we need to monitor and limit the door opening. Combined with the recording of temperature, you can analyze the temperature variations during these door openings. Also this will help you analyze the recovery time after the door is closed. 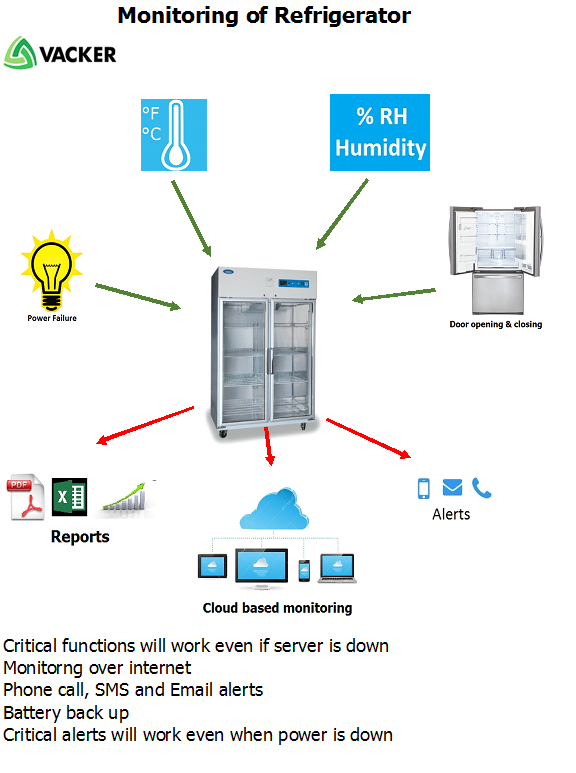 We can provide remote refrigerator monitoring solutions for all these applications. What are the parameters to be recorded for a refrigerator? The following parameters should be ideally monitored in a refrigerator. Door opening to analyze the frequency of opening once a door is closed. Door closing delay after a door is opened. Any instance of power failure should generate an alert to a number of operators. We are providing our integrated solution which measures the door opening and temperature fluctuations of a refrigerator. There are two volt free contacts in the door of the refrigerator. These contacts record every opening and closing of the door. This analog signal is converted into a digital signal and is transmitted through a local Ethernet connection to a centralized computer. These are remote monitoring systems using which a user can remotely check the conditions. We can program the device for the temperature alert levels and also we can set a duration of the door opening. What are the Alarms generated if the door is not closed after a gap? If the door remains open for a duration longer than the programmed time, the system generates a local beeper. Optionally it can generate a phone call, SMS or email alert if the door remains open for a long duration. 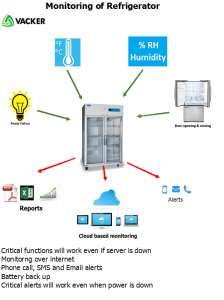 How to take the report of door opening of a refrigerator using the remote monitoring system? The temperature inside the refrigerator (sampling interval can be programmed such as 1 min, 3 minutes etc.). Every door opening and closing. Power failure of the refrigerator. We store these data in a centralized software. Customer can genereate the report for any period such as every week, every month etc. Hi – I’ve noticed your product for recording the times that a door is opened/closed – and wonder if this could be adapted for use in the home – for monitoring the external door for someone with Alzheimer’s disease. Ideally this ‘device’ would contain the data i.e. not send this to a central server – and be easily viewable/downloadable from the device. I believe that carers are arriving late and leaving early, and wish to monitor this. Any thoughts?